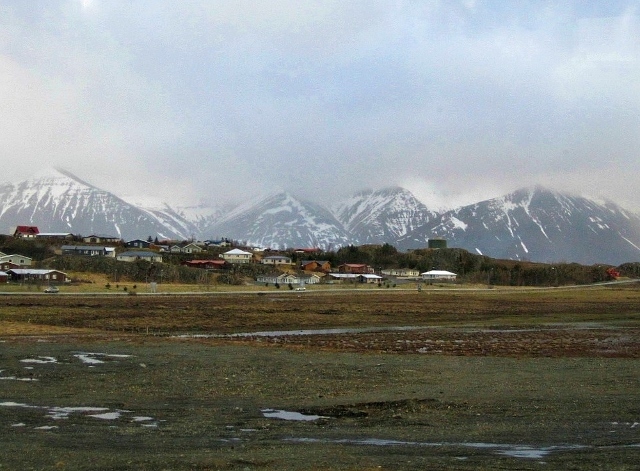 « Alaska – a wedding and an adventure out in the wild frontier. Oooh ooh, the year is 2017. 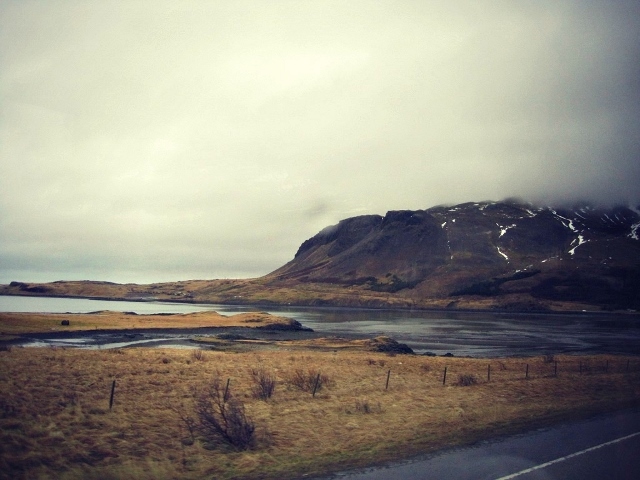 The place is Iceland. 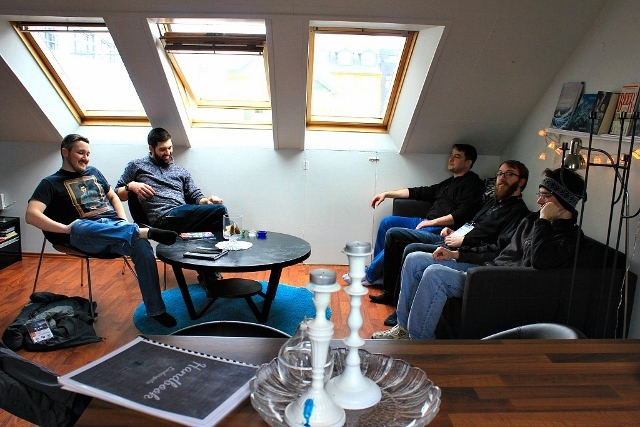 The reason: Another EVE Fanfest but this time we are going with members of Team Pizza. I don’t really know how this happened but I am guessing this had something to do with meeting up with everybody the previous year and we really had a good time then. Everyone seemed keen to attend Fanfest and to meet up again so arrangements were made. 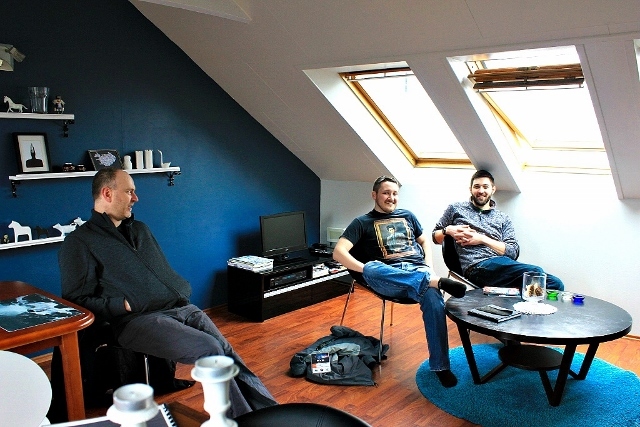 The minute it was decided that we were indeed going we got onto Airbnb to book our favourite place, the same place we stayed at the last time we were in Iceland in 2013 for EVE Online’s 10th Anniversary. 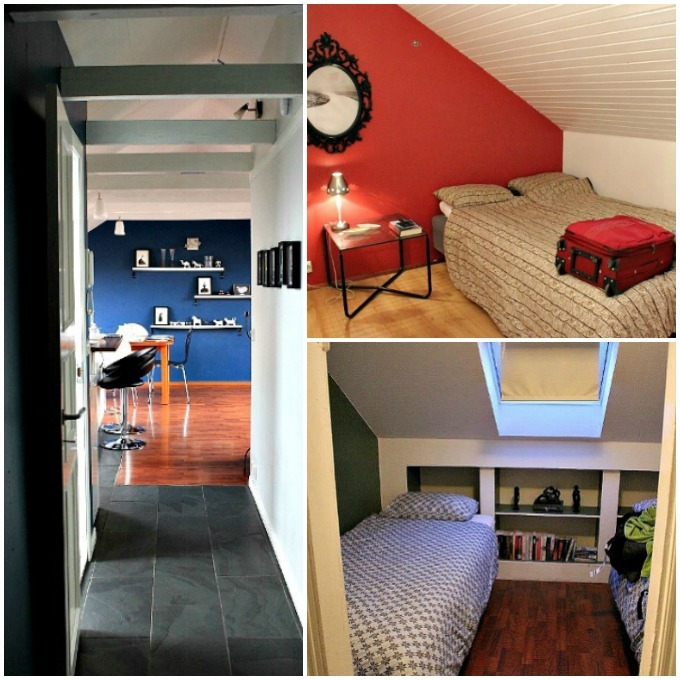 Accommodation sells out fast … well, the cheap and affordable ones anyhow. The closer you get to the date of the event the more expensive everything gets and you wind up staying in accommodation 2 miles away. Even the event tickets get expensive so all I can say is if you are an EVE player or are intending to visit Iceland during the EVE Fanfest week, you need to book months in advance. The apartment we rented was a mere 5 mins walk from Harpa Convention Center and about a similar distance to the town centre, close to entertainment, bars, shops and dining options. The place has 2 bedrooms and sleeps 4 so R usually offers the two extra beds to other members of the corp. Last time Dom and Spujo stayed with us. This time he decided to share the apartment with Ethan and Sgt. Sack Smash. It was really nice to be seeing everyone again even though it’s a very gamer-centric meet up and I am usually in the sidelines. Simeon brought along his sister so that makes two of us. 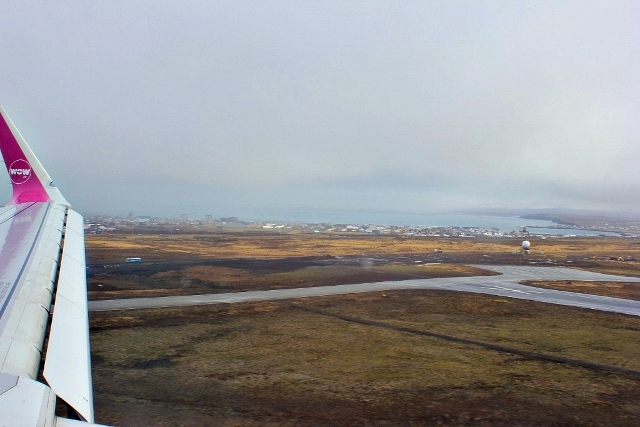 We took the 12:30 p.m flight out to Keflavik – only two and a half hours away; the convenience of European living. Took the usual bus shuttle to Reyjavik bus station then just a short taxi ride to the accommodation. 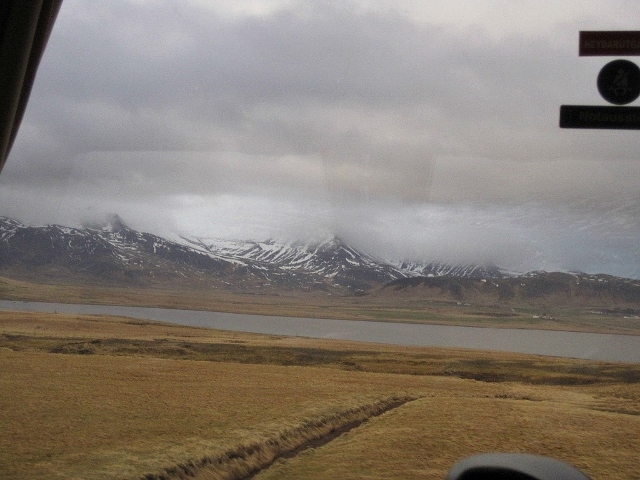 Riding the bus from the airport to the city is always entertaining because the views of the mountains are stunning. Tip: Views are better on the right side of the bus into the city. 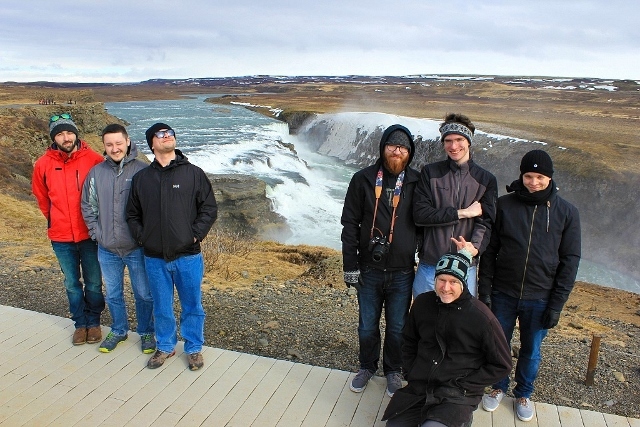 For many of the guys this was their first visit to Iceland. Dom did not come with us this year and 0nada now actually lives in Iceland full time. He was very excited we were all coming over and made arrangements to meet us for dinner that first night at the Sea Baron (Sægreifinn) – Geirsgata 8, 101 Reykjavík, Iceland. The weather wasn’t too great that evening. It was cold and wet but we braved the elements and plodded off to find nourishment in the form of lobster soup + grilled fish kebobs. What I have found on this second trip to Iceland is how terribly expensive everything has gotten in a mere 4 yrs. If you thought prices in 2013 were bad … fast forward to 2017 and weep! I joined yet another Sisters of EVE tour and they took us to lunch at a small cafe. 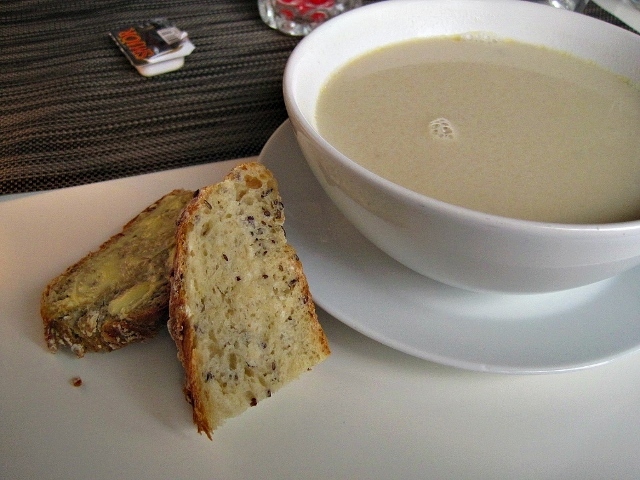 I glanced at the menu and a bowl of mushroom soup was LEGIT 2,400 ISK, which works out to about EUR 20.00. 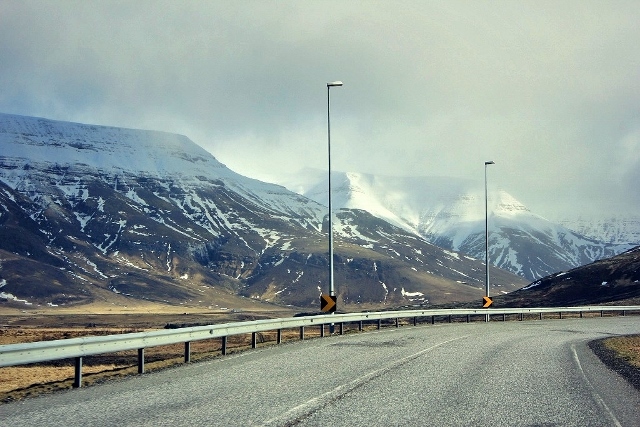 Just like travelling in Switzerland, travelling in Iceland is very expensive and that price seems to be going up every year. Thanks to their aggressive advertisement campaign of late they have managed to boost tourism to the country. 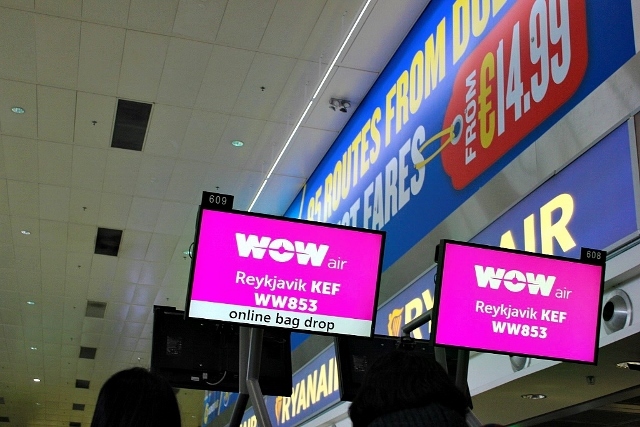 Now it appears every man and his dog has either been to Iceland at least once or is about to. Houses and apartments that weren’t there in 2013 have suddenly sprouted up everywhere. Shops and cafes that we loved have closed, replaced with new establishments. 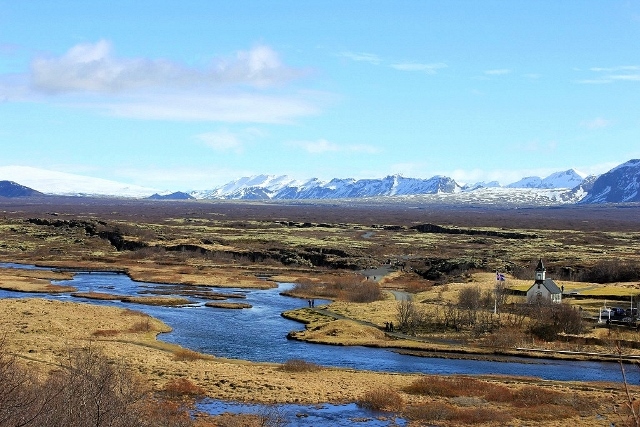 Still, many of Iceland’s famous sights of nature remain free to access so if you can manage accommodation on a budget and eat enough without breaking the bank then you will still get a lot out of your visit. Having lobster soup on a cold rainy night. We didn’t stay out late that first night. The next day I had to be up early since I signed up for yet another Sisters of EVE tour while the boys went off to spend the day at the convention center doing EVE things. Four years ago the Sisters of EVE (S.O.E) tour 2013 took us on the Golden Circle and up a glacier, finishing off the day at a health spa complete with free cocktails. 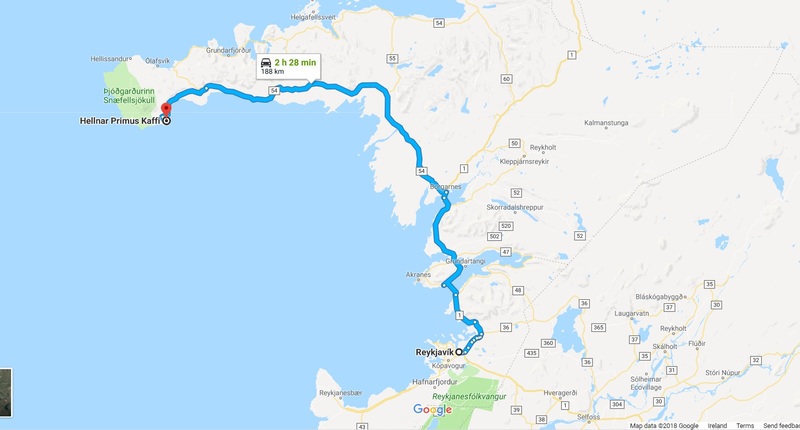 This year our CCP coordinators tell me they are taking us to the western fjords instead, all the way to the Snæfellsjökull National Park at the very tip of the Snæfellsnes Peninsula. 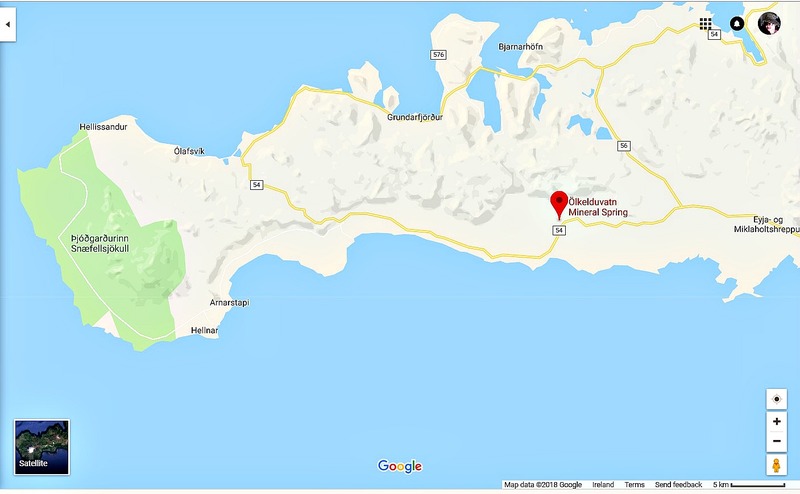 From there we will break for lunch then visit some exrtrodinary lava caves, visit a natural subterranean spring which you can drink straight out of and we were also doing a 5km hike along the rugged coast. Seemed fair enough coz I would have hated signing up if we were going to be seeing much of the same things I did four years ago. The tickets to this tour weren’t exactly cheap either. I was happy to know CCP booked with Eskimo Tours once again; loved them then, still love them now. They do really good guided tours and are very organised. 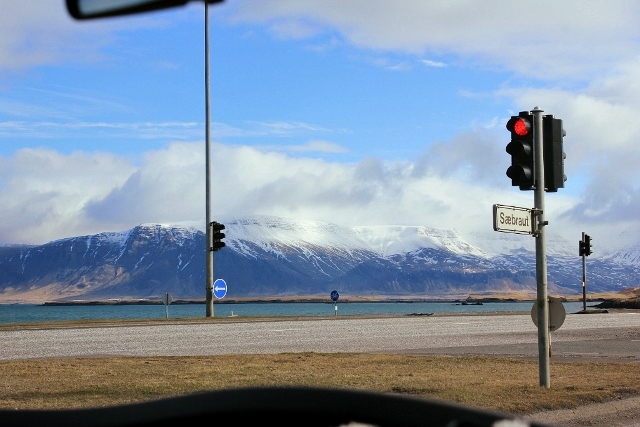 So, as per standard practice, we all meet at the Harpa Convention Centre and we will be picked up by our tour guides. Previously we were in a Super Jeep convoy but this time we just got onto regular shuttle buses. I found Simeon’s sister and we basically paired up for the rest of the day. There was a bit of a language barrier between us but we managed okay. The day was miserably wet and cold when we set out, and that’s pretty much how it stayed for the rest of the day. 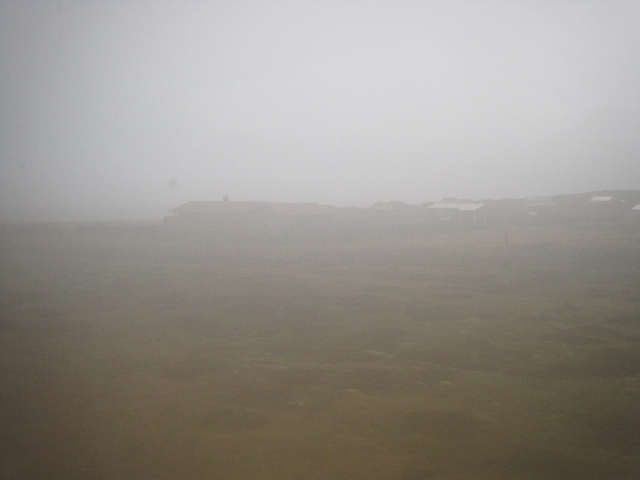 There was no sunshine at all, most of the views and mountain tops were hidden from view by heavy fog. Made for some dramatic photos at least. 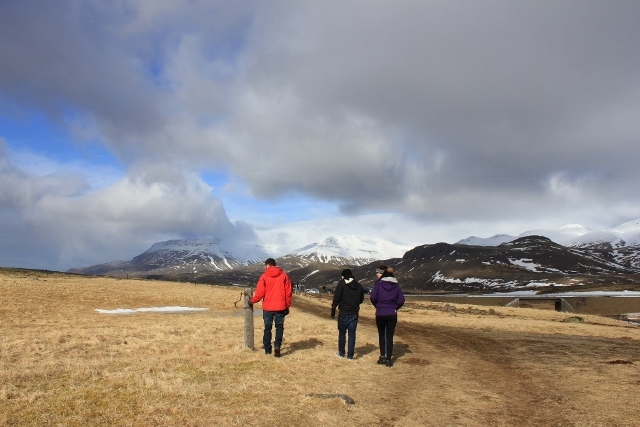 The first stop of the trip was to a local farm – Ölkelda farm – where the Ölkelda natural mineral spring is located. 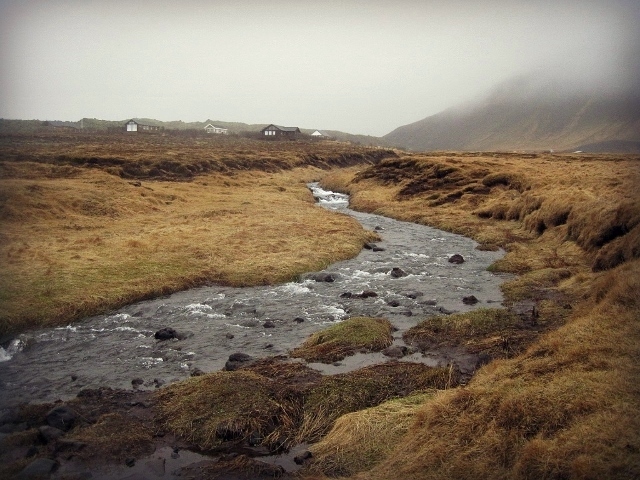 The word in itself “Ölkelda” already means natural spring in Icelandic. The farm gives visitors free access to the the spring, which is nice. It did take us a long time to get there tho so by the time we arrived it was nice to get out and stretch the legs. The farm isn’t anything much, and the spring isn’t really much either. It literally is a rusted pipe coming out of the ground with a tap. 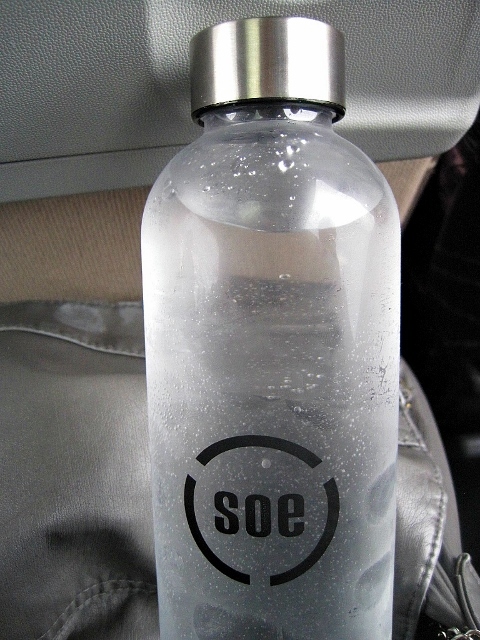 They gave us these really nice Sisters of EVE water bottles each and we could bottle the water at the spring to take home with us. 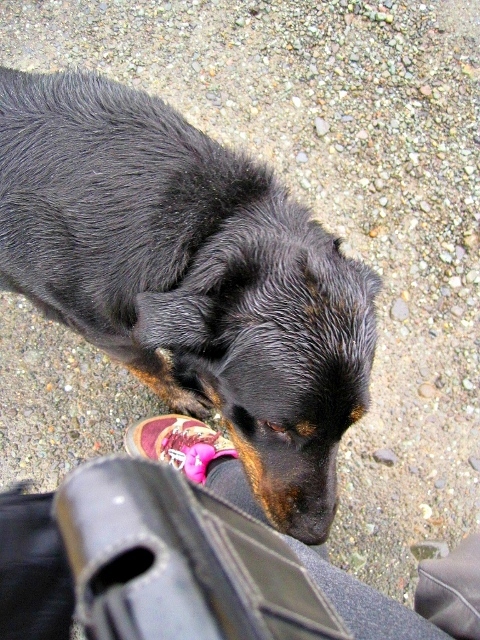 When we got there we had the best welcoming party (of one) everrrr – the farmers dog. He saw the bus coming and ran out the gate to greet us; it was so cute. When that bus door opened there stood the happiest doggie on the planet and he went to greet everybody. 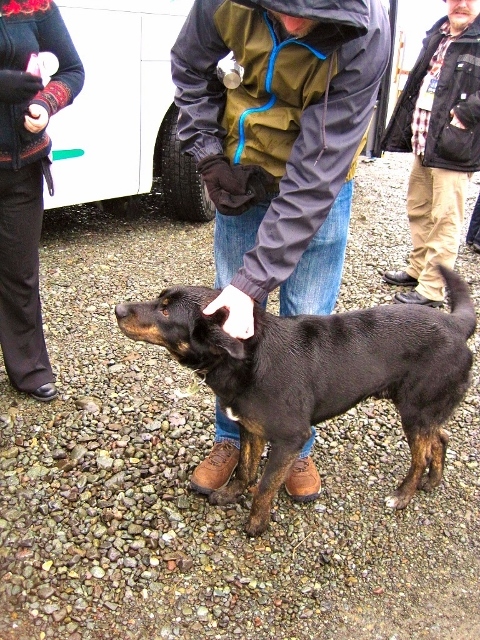 For a moment he was the star attraction and everyone started taking photos of this wet animal, standing in the rain, tail wagging a hundred miles an hour. The water that come out of the ground is mixed with carbon dioxide making it … you guessed it … carbonated water! So cool. Sparkling water straight from the ground straight into your mouth. It tastes slightly metallic from all the minerals in the water, and when you let the water sit for a while you can see some orangey deposits settle on the bottom of the bottle. I am guessing this is maybe iron? I am no scientist, so I am not going to speculate. I thought the water was going to be hot or at the very least warm considering Iceland’s geothermic activity but it was ice cold for some reason. Very refreshing to drink. 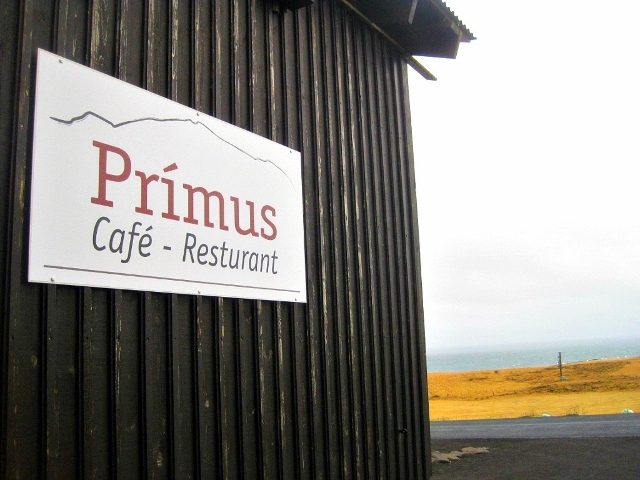 Back on the bus and we were off to lunch at Prímus Kaffi – 5730, Hellnar, Iceland. This is probably the only cafe / food place I saw out here on this wild landscape, so if you are going to be coming out here in your own vehicle it would be wise to pack a lunch and avoid the exorbitant prices. They probably have a monopoly on the food scene out here and when you are cold and wet, you’ll pay anything to get food in your belly. Food was included in our tour ticket but I looked at the specials board and a single bowl of soup + bread cost about EUR 20. That’s excluding any drinks, dessert, a main course. All we ate was literally that one bowl of soup and bread for our lunch. Thankfully I read up a bit prior to getting on this tour and picked up some chicken wraps in Reykjavik as a backup. But since most travelers get here and then realize there aren’t any other alternative places to fill up a starving belly at they kinda charge whatever they feel like. And the food was pretty ‘meh’. After lunch and a toilet break we all got split into two groups. 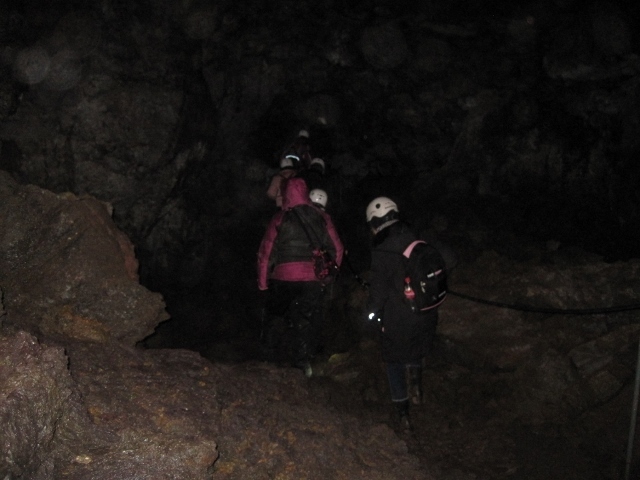 One group was told to get back on the bus to visit the Vatnshellir Lava Caves. 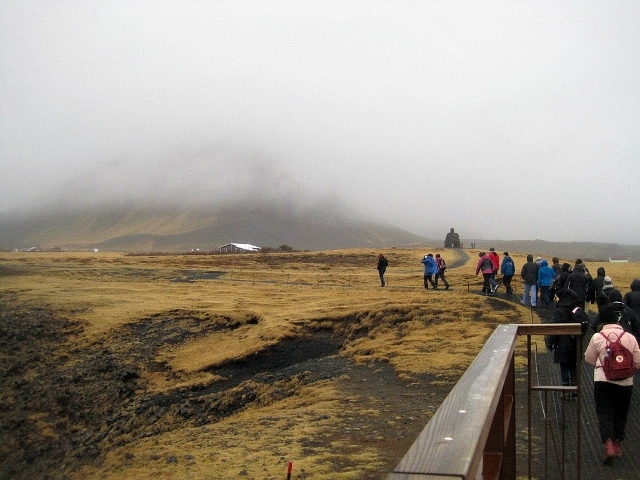 The other half were taken out the back of the cafe and onto a coastal trail that lead from the cafe to a lookout point at Gatklettur. I was the group on the bus. At the caves we were given a helmet and torches each. Our guide went through some instructions and down into a hole we climbed. It was wet and miserable outside so I was looking forward to getting underground and out of the elements for a while. I was wrong. It was wet and miserable inside too! The walls and the cave ceiling continues to leak water on our heads. It was as if it was raining inside. Using the flashlights we crawled our way down some seriously steep steps to the bottom of the cave and in single file we reached the cave floor. It was cold in there. Our guide regaled us with important facts about the cave system and pointed out some important structures within the cave. But to be honest, it all just looked like rocks to me. 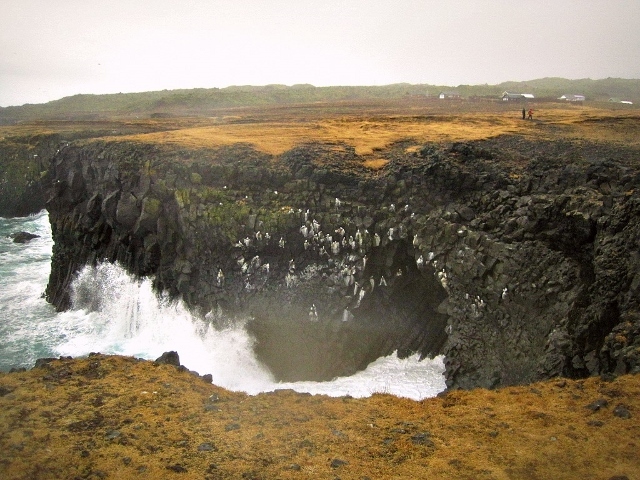 The tunnels system was created some 8,000 years ago when a nearby volcano spewed hot magma under ground. The lava cooled and dissipated over time, leaving behind the remnants of its existance. 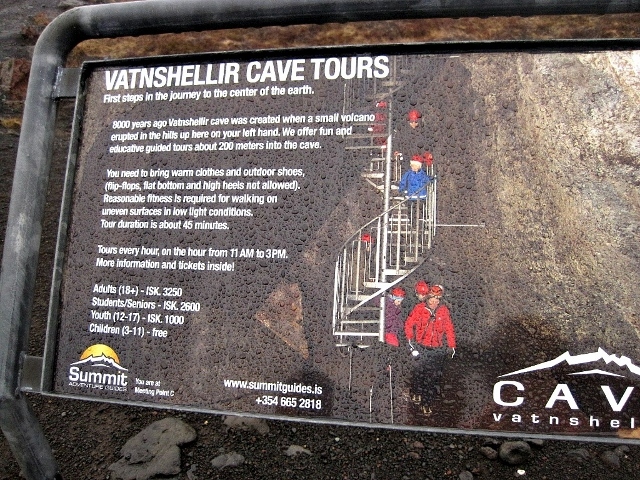 The longest tube is about 200 m long and we are able to climb down to about 35 m underground. I am sure the cave goes deeper than that but this is as far as they will take tourists. I couldn’t take very many photos since it was very dark down there and the line had to keep moving to keep up with our guide. The ground was uneven with sharp rocks, so it’s a good idea to keep your footing in the dark and not drop your camera. After stumbling in the dark for some time we emerged up top once again … it was still raining but the wind had died down considerably. We were to rendezvous with the second group at the meetup point and swap places. So thankful I was in the group to have visited the caves first coz those poor people in the first group had to hike along the coast in the worst weather; visibility was pretty poor due to the fog. When we turned up at the meeting point the others couldn’t be happier to see us and the prospect of getting on the bus to warm up for a bit. The hike was about 5 km and this would take us back to Primus Cafe. A guide would follow us but in general we were free to do what we liked along the trail. 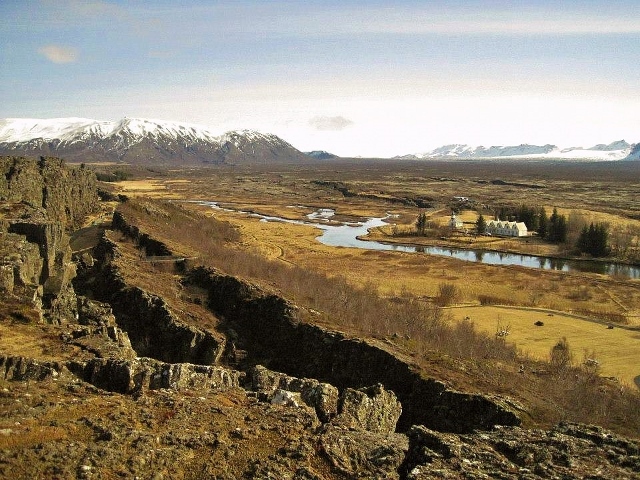 This is Iceland … there are no prepared walking trails, no guard rails, no signs … just common sense and a sure foot when you are out there hiking on your own. You are really exposed to the elements and certain areas are very rocky. We had to clamber up and over rocks and hills and be careful we didn’t slip. 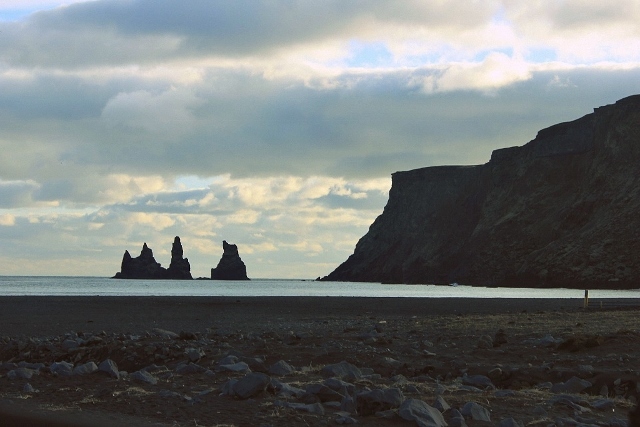 The views out across the ocean were pretty spectacular tho … wild and the water looked dark and foreboding. 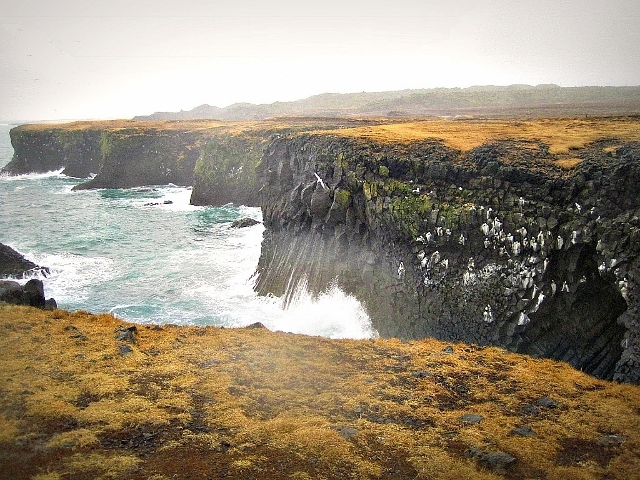 The sheer force of the waves crashing up against the cliffs was both terrifying and exciting. It makes you feel so powerless and insignificant. Thick fog = very poor visibility. Walking along the coast for 5 km. 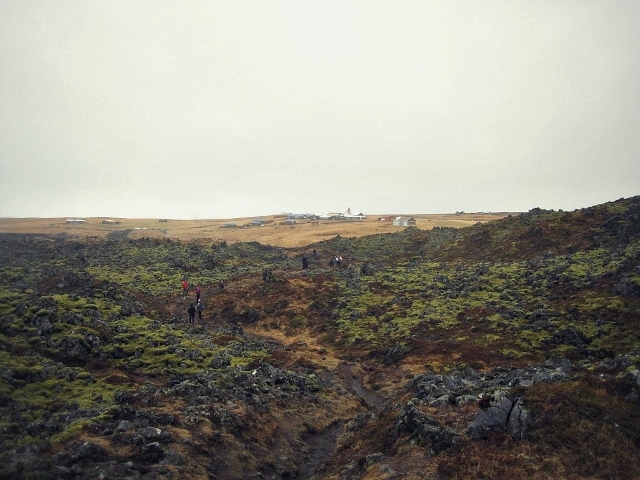 It was a challenging hike due to the rocky terrain. I managed to take some pictures along the way without drenching my camera too much. I must say my fingers were partially frozen at this point as the sea breeze was frigid so I kept my hands firmly wrapped up in gloves as much as I could. Still, I got to appreciate the geological wonders of this country, made of black lava rock and granite. Eventually we made it back to the cafe and managed to order one last hot beverage before they closed for the day. Then it was back on the bus for a bit of sightseeing around the local area, although like I said before, visibility was really poor. 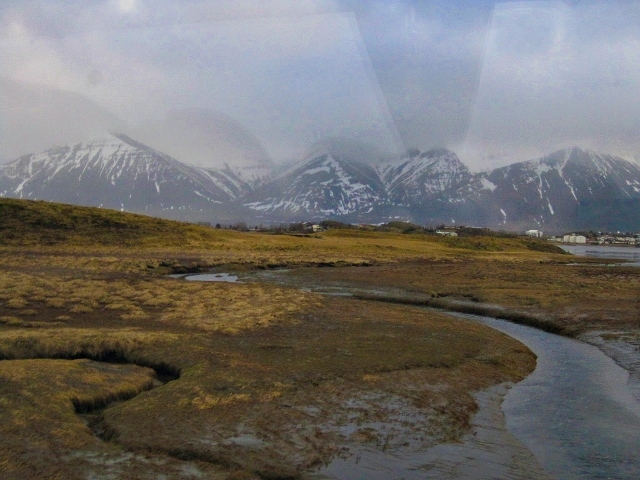 Generally the tour for the day was over and we were heading back to Reykjavik. Halfway through we stopped at a random location and lo and behold a little snack bar had been setup for us out in the open. Good timing too coz I was starting to feel hungry. 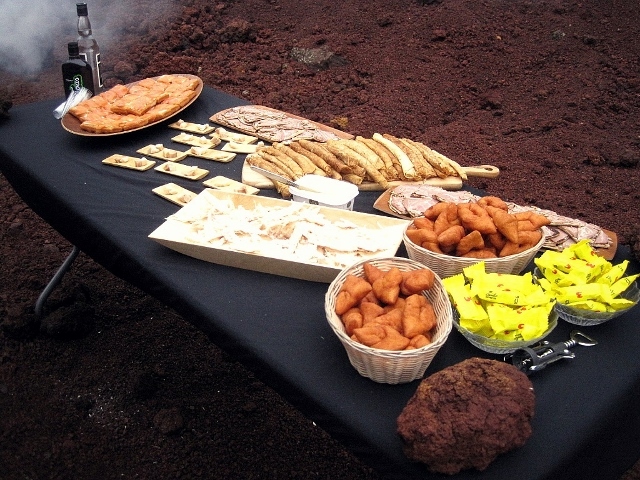 There was a table set up with Icelandic treats such as smoked salmon on buttered rye bread, a special Icelandic donut, some sweet treats and a variety of drinks. There were pancakes, dried fish and smoked lamb as well. Yummy! 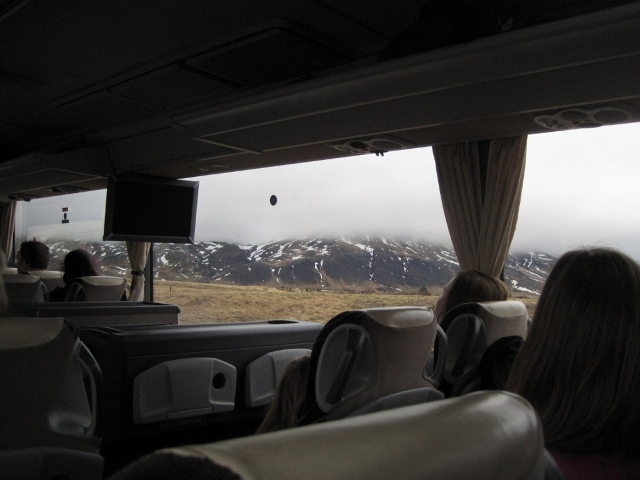 By the time we got back to Reykjavik I was knackered and happy the day was finally over. I had the whole apartment to myself since the boys were still out. I took a long hot shower while enjoying the mountain views out the bathroom window. Then I took a nap while waiting for the rest to come home. The rest of the trip was pretty uneventful for me. The only other thing I had to look forward to was the big Team Pizza dinner we had pre-booked at Matarkjallarinn (Food Cellar) – Aðalstræti 2, 101 Reykjavík, Iceland. This was probably our most expensive splurge of the trip, a five-star dining experience with the rest of the gang. 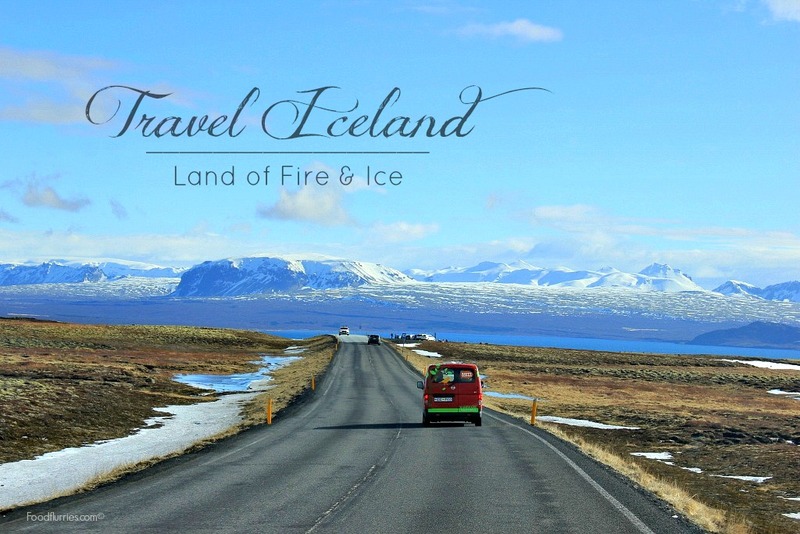 We pre-booked the chef’s menu which is a multi-course tasting menu featuring all the best Iceland has to offer. 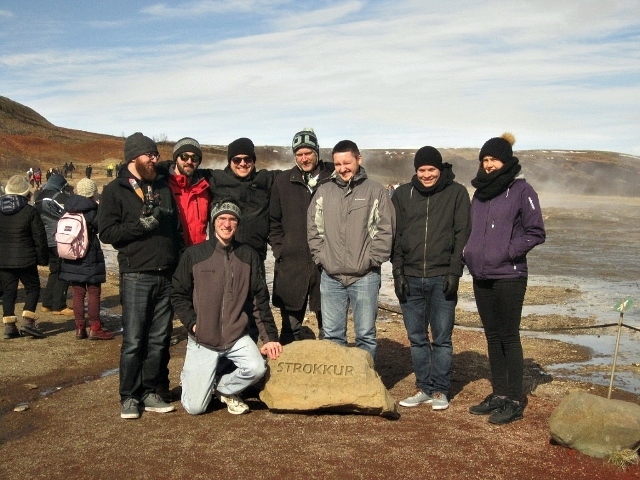 We did the same thing 4 years ago at Sjávargrillið. All up I think we tucked into a total of six or seven scrumptious dishes from tuna tartare to other skillfully prepared seafood dishes. Dessert was a chocolate semi fredo with hazelnuts, white chocolate ganache and salted caramel. My favourite dish of the night was the SLOW-COOKED COD with green asparagus, smoked lamb, langoustine-hollandaise. A close second was the TUNA TARTARE with avocado served with a side of deep fried wanton and chilli sambal. 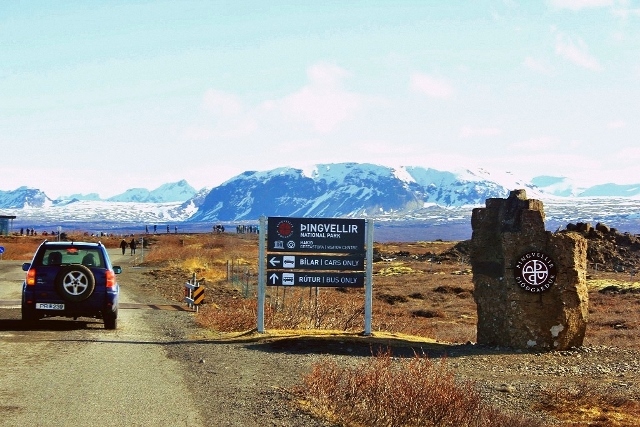 On the last day we rented a van and took everybody on the Golden Circle tour since it was everybody’s first time in Iceland. There was a problem with the vehicle we ordered … it was smaller than initially anticipated. We were under the impression that it was going to be one of those big people carriers like a mini bus, but what they ended up giving us was just a van and it made for some uncomfortable driving coz we were all squished in there like sardines. 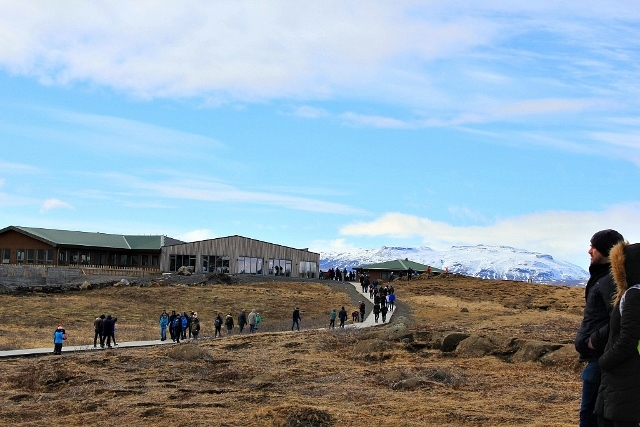 We did the usual visited to Þingvellir National Park, the Geysir Park, Gulfos waterfall and Vik. Some things have changed since we were last there but good to see that access to these attractions remain free of charge and they haven’t put up great big fences to limit access to tourists. 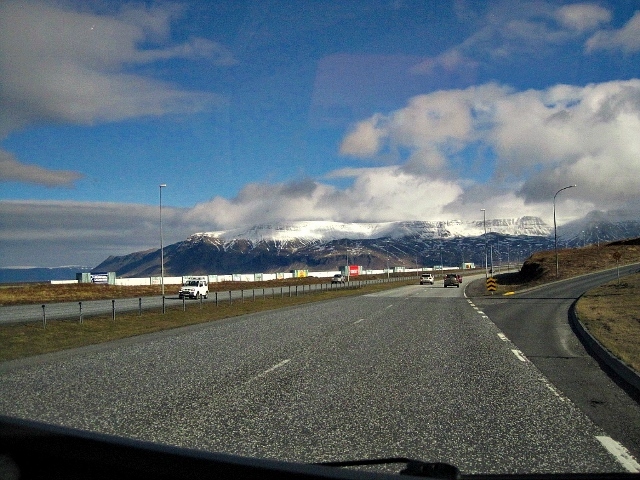 It was a very good day for the trip for the sky was a dazzling blue and the snow capped mountains were stark white in contrast. It really was one of the few days where we experienced clear weather. 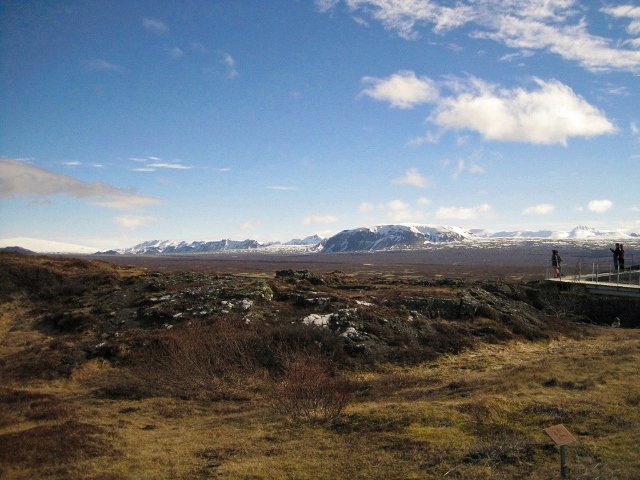 We drove to Þingvellir National Park first and the photos simply do not do this place justice. God bless clear days! 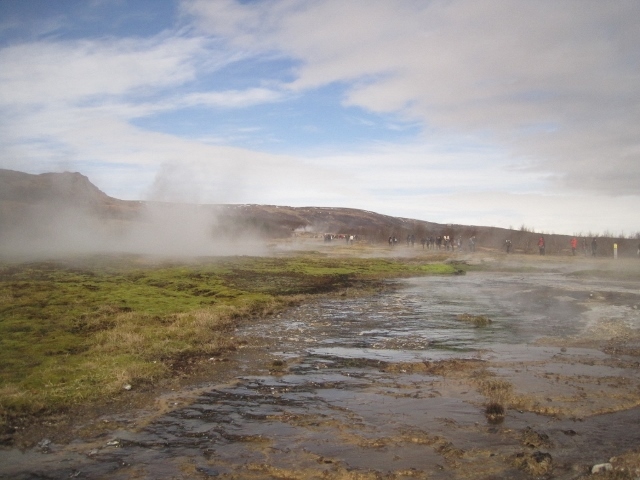 From there it was just a few minutes drive to Geysir park. Now this was the biggest change I saw when we pulled up in the parking lot. We had planned to grab some lunch upon arrival and I knew the Hotel Geysir served up some pretty decent food. Now, next to the hotel was this giant food court crammed full of tourists and they had lines going everywhere. It was impossible to tell where one line started and the other one ended. 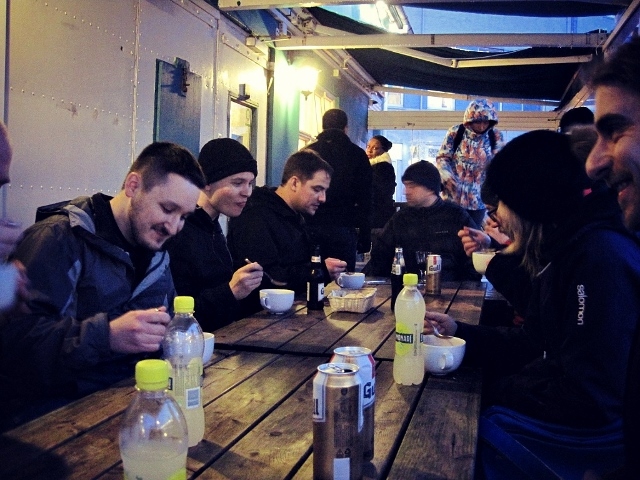 Food served varied from typical Icelandic fare to generic cafe cuisine like pizza and pastas. Prices were, as expected, expensive and the food wasn’t nice at all. You could choose to eat off the standard menu or opt for the buffet option. It didn’t really matter … no one liked their food. But it was food nonetheless and it staved off the hunger. It is worth taking your time to walk around this area and to be amazed at all this geothermic activity. Just be aware the air smells of rotten eggs from all the sulfur deposits in the water. Be very careful if you have young kids with you and stick to the designated walkways to avoid injury ~ the water is VERY VERY hot. Many areas around the hot springs have been cordoned off to deter visitors from getting too close and dipping hands/fingers into the water. I have heard of other hot springs around the country where you can park your car by the road and take an unscheduled dip. I would caution against doing this as you never know if a hidden vent is under that water and can suddenly heat up the water to above boiling point. 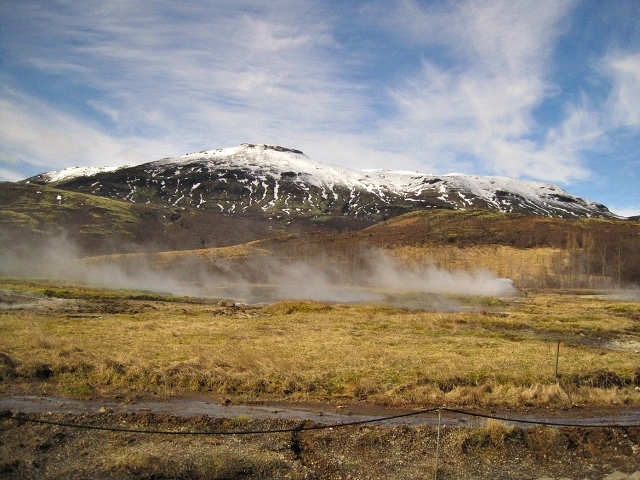 If you want to take a warm dip then go to one of Iceland’s many natural hot spring spas where the water temperature is controlled and won’t suddenly boil you alive. 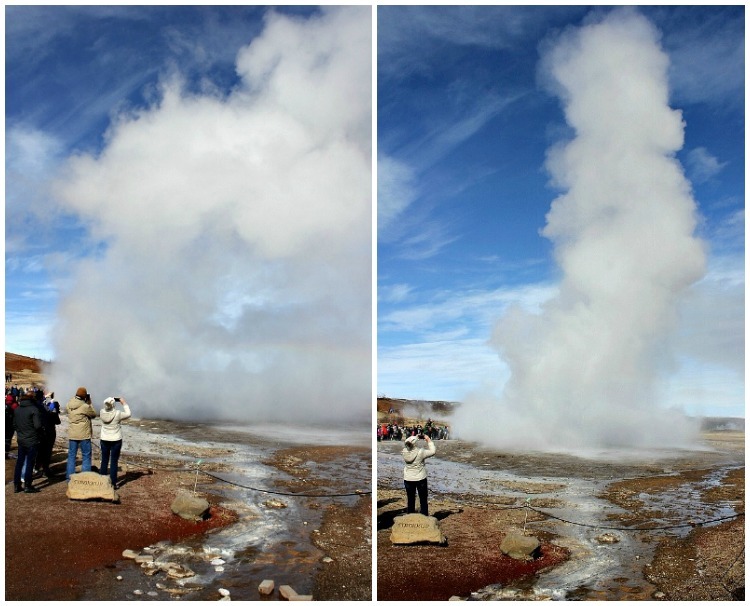 The biggest geyser shoots boiling water into the air roughly every 7 minutes or so and it is quite the spectacle to witness. You might even get a splash of water if you are in the splash zone, depending on where you stand and the direction of the wind. 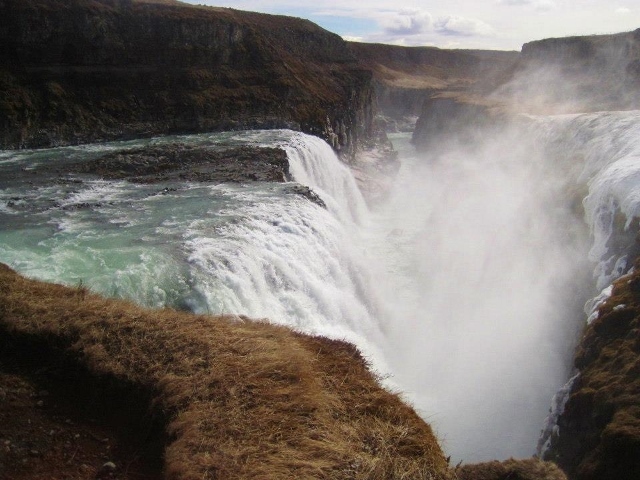 Visiting Gulfoss was next … duuhh … everybody stops to see this majestic waterfall. No introduction needed. Here too we noticed some changes. More barricades have been set up at the edge of the gorge. Maybe people have fallen in. Don’t quote me on that. 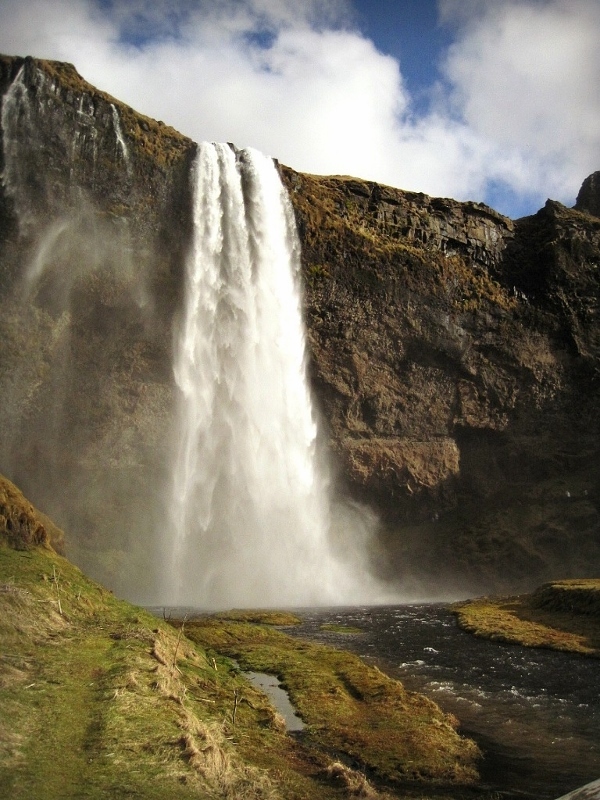 The other must-see waterfall is of course Seljalandsfoss … quite possibly Iceland’s most picturesque cascade. 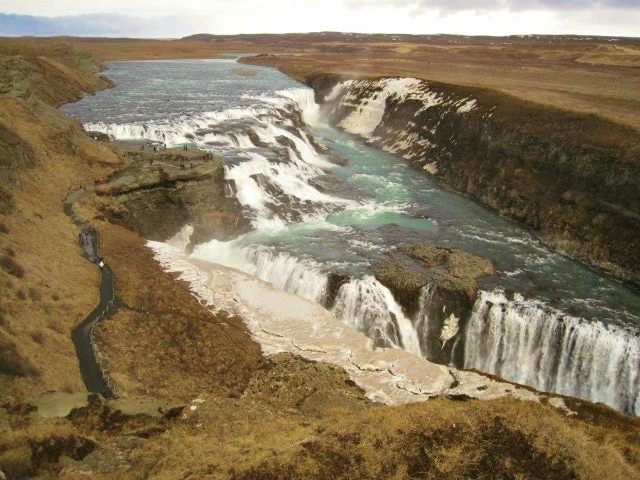 If you are familiar with some of the more notable waterfalls in Iceland you will recognise this one as being the one where you can take a walk behind the falls and you will be rewarded with the most amazing vista looking out across the field towards the road. If you are visiting later in the day or early evening the sun will be low in the sky beaming luscious golden rays your way, thru the spray of water and it will create beautiful rainbows right before your very eyes. 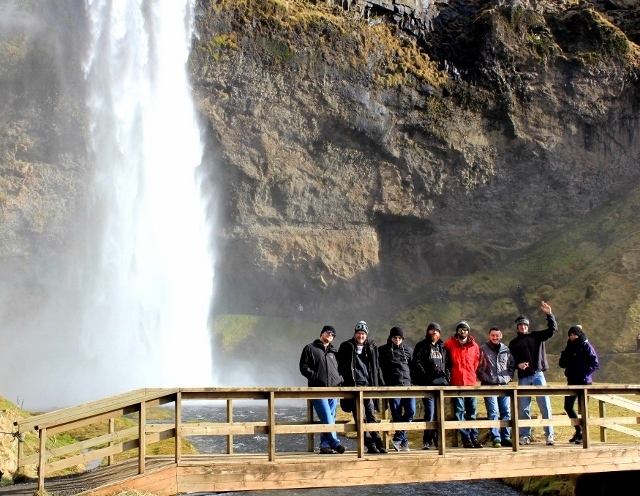 Some of the lads did make it behind the falls and got a soaking. Take note if you are carrying with you expensive equipment ~ it will get wet! 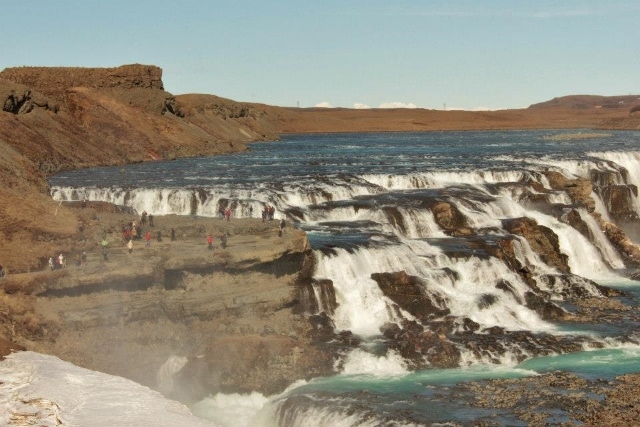 The day continued on from this gorgeous waterfall towards the town of Vik. 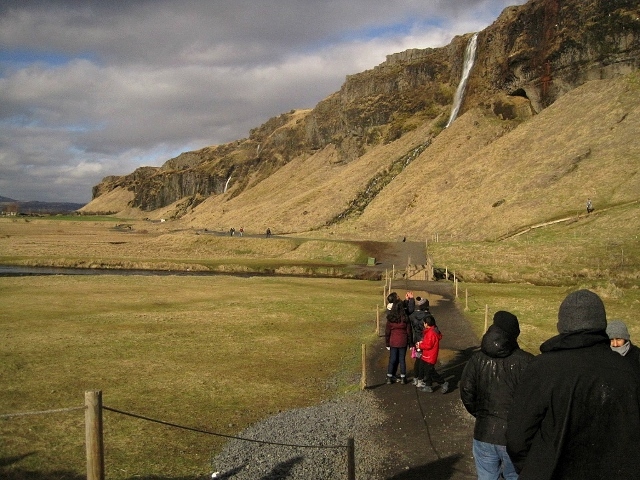 In between we did have to make the obligatory stop at the Vatnajökull National Park to admire its famous glacier and Skógafoss waterfall ~ this is afterall the land of many cascades. 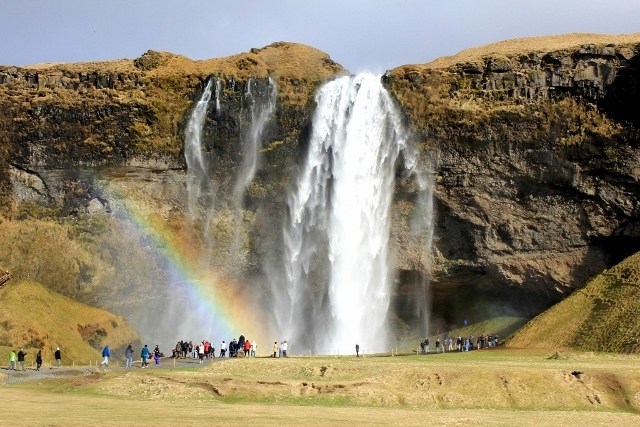 If you are looking for waterfalls you have come to the right country. 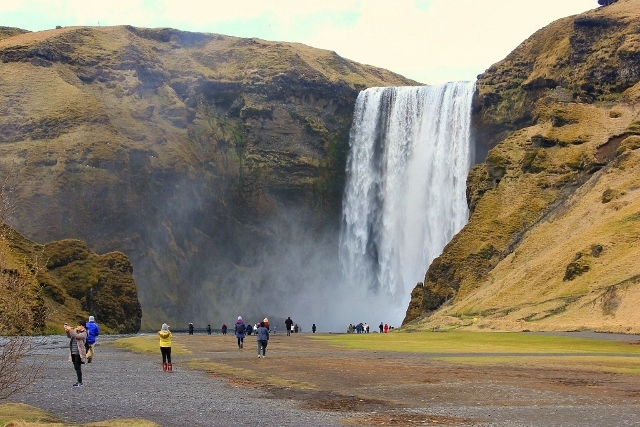 You can literally walk up to Skógafoss from the parking lot and there is a staircase next to it that leads up to the cliff where you can get awesome pictures and an elevated view of the landscape. 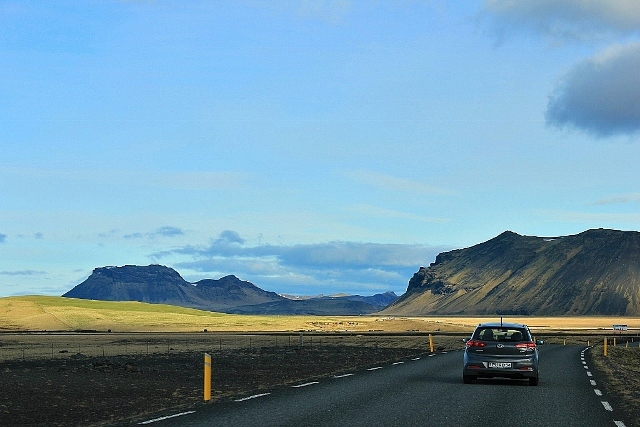 A couple years ago when we were here on our first visit to Iceland a friend got out from the car and was immediately shoved back in by the sheer force of the wind. The door slammed shut after him. On his second attempt as an exit he had to use all his might to push the car door open. He then proceeded to walk towards the falls and was blown off his feet and tumbled to the ground. Funny af. 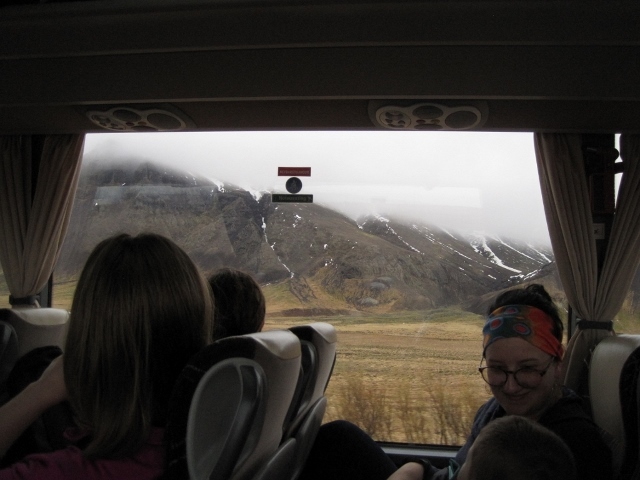 Once we got to the town of Vík í Mýrdal (population 380), the sun was going down and we were all kinda needed a break from being cramped up in the van for hours. To be honest the seating and transport arrangements were not great as the rental company gave us a silly little van instead of a comfortable people carrier which we initially ordered. It felt so good to get out and stretch our legs and move around a bit. First stop was to the beach to see the famous black sands that blanketed the shoreline. It was not warm out there once the sun went away. So we took what pictures we wanted (I stayed in the van and took photos from the passenger seat), then we all made a bee-line for the cafe to warm up and get some food into us. As tradition dictates, pizza was the order of the day for Team Pizza of Wormhole Space. I opted for some lovely mushroom soup to warm me up from the inside out. Surprisingly enough the place was busy and we struggled to get a table. Happy enough with our fill eventually we all had to pile into the van once again (with many groans and moans from our passengers) and we drove west towards the never-setting sun towards Reykjavik. 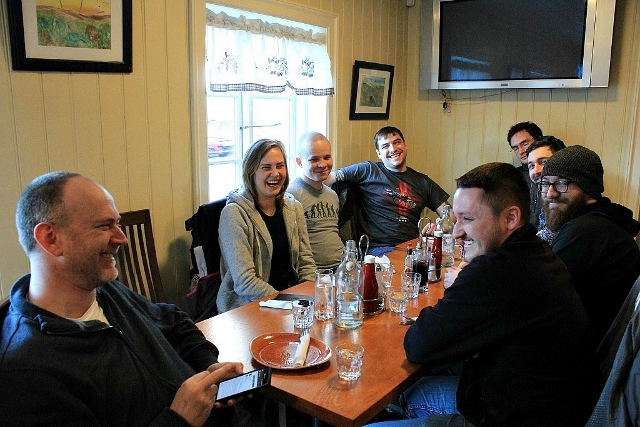 Well, it was a fun meet up with the team and hopefully we will do it all again.